Now that spring has officially sprung, it’s time to get outside and enjoy the fresh air. What better excuse for outside exercise than getting outdoors with your doggy pal? But there’s more to keeping fit with Fido than just walking. 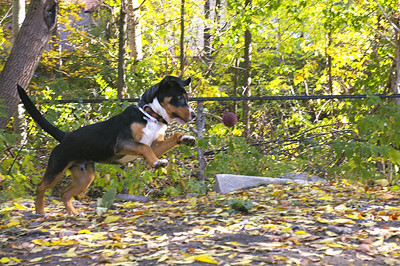 There are lots of ways to get active with your dog that are fun for the both of you. 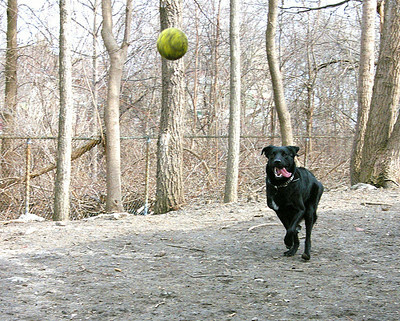 Join the Ottawa Humane Society for a demonstration on dog sports on Thursday, April 22 in the Ev Tremblay Park on Champagne Avenue (right beside the shelter). OHS staff will be exhibiting all sorts of dog-friendly activities, including fly ball, agility and Frisbee — the ultimate in social networking for the canine set. Come and watch the fun and learn more about getting active with your dog this spring! *Please keep your dog at home for this event as the park prohibits them. April 22, from 5:30 to 7 p.m. This is a free information event, hosted by the OHS. To RSVP, please e-mail ohs@ottawahumane.ca.